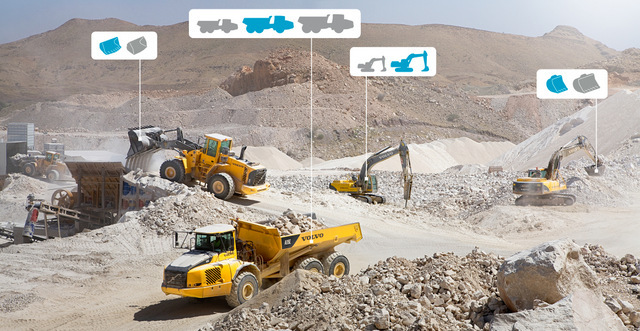 Volvo Site Simulation increases efficiency and profits by providing customers with tools to reduce their total cost per ton. By analyzing worksite conditions and operational goals, Volvo can offer advice on the proper site setup for optimum fuel efficiency and productivity. “We can maximize productivity for our customers by recommending the most profitable fleet of equipment and project results based on what metrics the customer is looking to improve. This could be cost per ton or tons per gallon, to a complete total cost of ownership analysis,” said Robert Palermo, product manager, Volvo Construction Equipment. 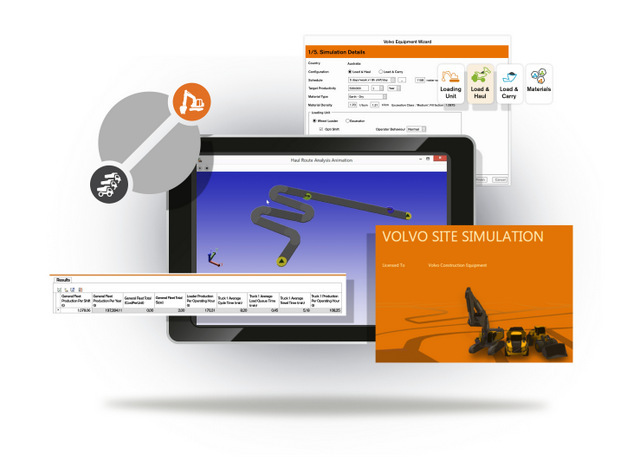 Volvo Site Simulation is available at no charge to new and existing Volvo customers, in partnership with their local Volvo CE dealer. 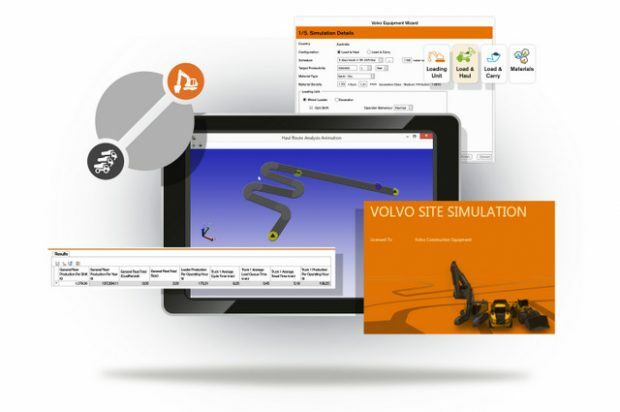 Using Site Simulation, customers and dealers can work together to put a reliable plan in place before a project begins or refine an existing operation. Enhanced use of GPS tracking and real-time data collection means fewer inputs are required to run a simulation. From payload and travel gradients to distance between two points, Volvo considers multiple factors to recommend site configurations that achieve shorter cycle times and maximum production. Detailed projections of owning and operating costs are presented via easy-to-read reports and on-screen animations. Recommendations on alternative configurations, as well as insight into the impact on overall costs, give customers tools to develop strong forecasts, budgets and bids so they can take more control of their operations. For more information about Volvo, click this link. We promise meaty content.